Cook In Shanghai offers morning cooking classes every Saturday, supplemented by a tour of a local food market. Chinese traditional home cooking techniques will no longer be a mystery. 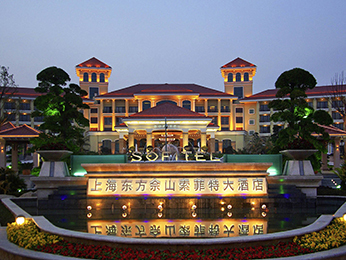 Pudong is dubbed the "Manhattan of Shanghai". It is dominated by the World Finance Centre (492 meters), recognizable by its unique architecture. The tower is also home to a wealth of shops and boutiques. The majestic Huangpu River showcases many major attractions in Shanghai. Enjoy a scenic evening cruise, when the city lights illuminate and the river traffic is scarce, one of the most popular times to enjoy this experience. From 1849 to 1946, the French Concession in Shanghai was under French administration. The streets of this residential area are now among the most popular and enjoyable places to discover in the city. 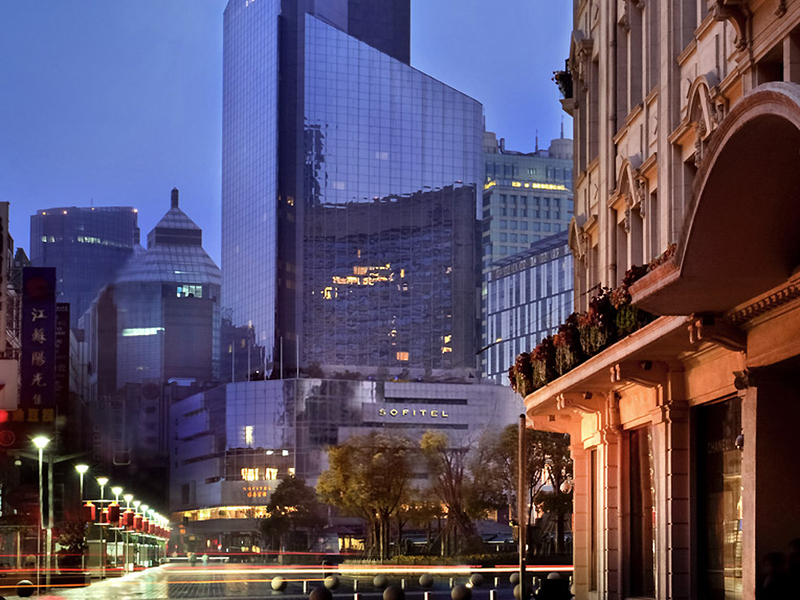 Shanghai’s iconic The Bund waterfront boulevard represents the international concession of Shanghai and is lined with buildings designed in a European retro style, offering a scenic place to enjoy a stroll along the Huangpu River. Fuxing Park, a green oasis in Shanghai, is located in the former French Concession district. In the shade of plane trees, discover the elderly locals playing mahjong, singing and doing tai chi. Shanghai’s Museum of Contemporary Art (MOCA) was opened in 2005. Housed in a small building, next to People’s Park, it looks like an impressive art gallery. Within small, intimate rooms you’ll find a series of themed exhibitions. Fashion rubs shoulders with graphic design, illustration, photography, painting, sculpture and everything that’s great about contemporary art to fulfil the museum’s goal: to give everybody the opportunity to appreciate these great works of our era. On the third floor, you’ll find a lovely, elegant café that you can access directly without visiting the museum. The round building that houses the Shanghai Museum can be found on the People’s Square. Its impressive collection reminds visitors that before the middle of last century (when the Communist party confiscated works of art), the city hosted the biggest antiques fairs in East Asia and was a real hub for art. Exhibits are arranged by genre here: furniture, coins, seals, jade, bronze, calligraphy, paintings, sculptures, ceramics and art by national minorities. A considerable collection, and one that you won’t be able to do justice to in one visit, but the good news is that entry is free, so you can come back as many times as you like. The legendary Bund is studded with amazing buildings. At no. 3, there is the Union Building, which combines steel with a Neo-Renaissance look. It was the first project by British architects Palmer & Turner, who went on to design many more of the city’s buildings. No. 12 (Shanghai Pudong Development Bank) is one of the biggest buildings in the world. Marvel at its dome and its façade, reminiscent of a Greek temple. A bit further on, the sandstone lions’ heads at no. 18 guard the entrance to a trendy designer world including the Mr & Mrs Bund restaurant and Bar Rouge, among others. At no. 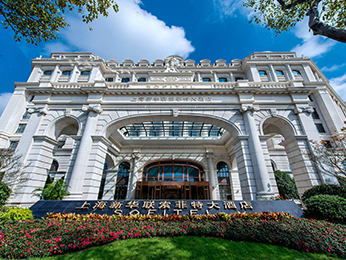 20, the former Cathay Hotel (now the Peace Hotel) can be recognised from its green copper roof and ochre walls, and now houses a museum. Longhua Temple is the largest in the city. Its seven-storey brick pagoda with wooden steps was once the tallest building in the city before Shanghai entered its modern era and started building skyscrapers. The Jade Buddha Temple was built in 1882 to house two jade statues of Buddha from Burma, one seated and the other reclining, at the end of his life. These two statues are accompanied by another made of marble, again of a reclining Buddha, donated by Singapore. At the M50 Creative Park, brick walls live side by side with sculptures and street art, interacting with industrial furniture and traditional ceramics… In this arty part of the city, creativity is celebrated in all its diversity. Based in a former factory that has now been given a new lease of life, the M50 Creative Park brings together artists from around the world. Slightly removed from the city centre, the area is home to around a hundred small galleries and is a great place for a stroll among cultural discoveries, green spaces, elegant architecture and the chance to meet artists from a wide range of backgrounds. A splash of colour and interaction on the fringes of Shanghai’s hustle and bustle. A nod to the Milanese address of the ultimate destination for sophisticated evenings and trendy shopping, 10 Corso Como has now moved to China and retains its ultra-chic European style. On the lower floors, you’ll be able to stock up on your fashion and homeware needs. A fantastic Italian restaurant occupies the fifth floor of this multifaceted building that has become a local destination, for tourists and locals alike, keen to find an item of clothing to complete their look, or quite simply for some relaxing window shopping surrounded by beautiful objects. The Shanghai International Finance Center (IFC) is made up of two buildings 250 and 260 metres tall. Designed to resemble a diamond, the shopping centre shimmers with the rest of the city and offers shopaholics all the glamour, luxury and sophistication they could dream of. Over more than 110,000m2, all the big international brands are represented and luxury western labels like Moschino, MTM, Tiffany & Co, Chanel, Mikimoto and Van Cleef & Arpels rub shoulders with all the most prestigious Asian names. As well as the shops, there is a cinema and a range of restaurants serving a wide variety of cuisines from around the world. In this “Paris of the East”, once governed by France, the spirit of the land of its European past lives on, thanks in no small part to the expats who manage their shops and bistros in the Art Déco buildings. Make the most of the lack of cars and walk down Donghu Rd and Taojiang Rd. Along the streets lined with plane trees imported from France, you’ll find some famous representatives of Parisian style: like Rouge Baiser Elise, with its embroidered linen and crockery boasting an old-fashioned charm. Or the bar and restaurant La Pétanque, which pays tribute to the south and the industrial spirit. This exclusively pedestrianised district is a popular destination for shopping addicts with a unique setting. The area is packed with traditional mid-19th century homes (known as hutongs), and has been extensively renovated to become a leisure destination with a wide range of luxury boutiques. There are lots of bars and restaurants here too, many of which boast lovely outdoor terraces in which to take a break from your shopping. The romantic, vibrant atmosphere of Xintiandi makes the neighbourhood one of the most popular and most expensive in China. In a half-organic, half-futuristic setting, The Nest is known for its premium cocktails. A collaboration between Muse and Bacardi, the bar-restaurant also serves quality food. Shanghai’s smash-hit The Commune Social tapas bar by celebrated British chef Jason Atherton delivers top-level cuisine without the accompanying pomp and ceremony. With multiple intimate dining spaces and sultry dining spaces, the award-winning Hakkasan celebrates Cantonese cuisine. Honored with a Michelin star, the restaurant is particularly renowned for its excellent brunch menu. At Bar Rouge, house music reigns supreme. Its terrace with breathtaking views and its trendy atmosphere only add to the immense success of this fashionable Shanghai club. Chef Paul Pairet blends modernity with the exoticism of classic French cuisine in a contemporary, yet cozy setting at Mr & Mrs Bund, where the Shanghai skyline creates a dramatic backdrop. The innovative Ultraviolet by Paul Pairet restaurant features an ultra high-tech dining room with only ten seats and an ambiance that evolves during the meal (colors, sounds, smells ...), where diners will discover a menu of twenty tasting dishes during this incredible culinary journey. The restaurant’s secret address is only communicated after booking. One of Shanghai’s favourite chefs, Franck Pecol brings artisanal French baking to Shanghai at Farine Bakery. As the aroma of roasted beans and just-baked breads drifts through the stylish wood and concrete interiors, step up to the coffee bar to enjoy premium freshly-roasted coffee with a buttery croissant, baked using specially imported stone-ground flour.